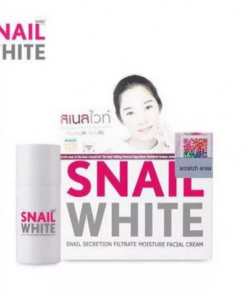 –SnailWhite is a moisturising, soothing, anti-aging cream which harnesses the remarkable cosmetic benefits of Helix Aspersia Muller, a unique substance the snail produces to quickly regenerate its own shell and skin when damaged. –Laboratory analysis of this incredible natural extract has shown that Helix Aspersia Muller contains a unique balance of beneficial components including Glycolic Acid, Collagen, Elastin, Allantoin, Vitamins and Minerals. 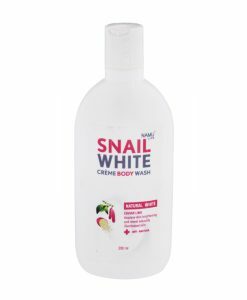 –The unique healing and powers of the snail’s slime, which is harvested without causing any harm, was discovered by chance by snail farmers in Chile who noticed their hands were incredibly soft and hydrated and minor cuts and scars were healing unusually quickly. 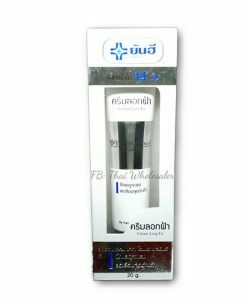 –Further research and clinical testing found that the secretions contained high levels of naturally occurring allantoine, collagen, elastin and anti-bacterial substances that all have beneficial healing, smoothing and purifying effects on human skin. It is free from all petro-chemicals and harsh additives which strip the skin of valuable moisture and can cause long-term damage, including parabens and sodium lauryl sulphate (SLS). This is skincare that’s pure, luxurious and effective! 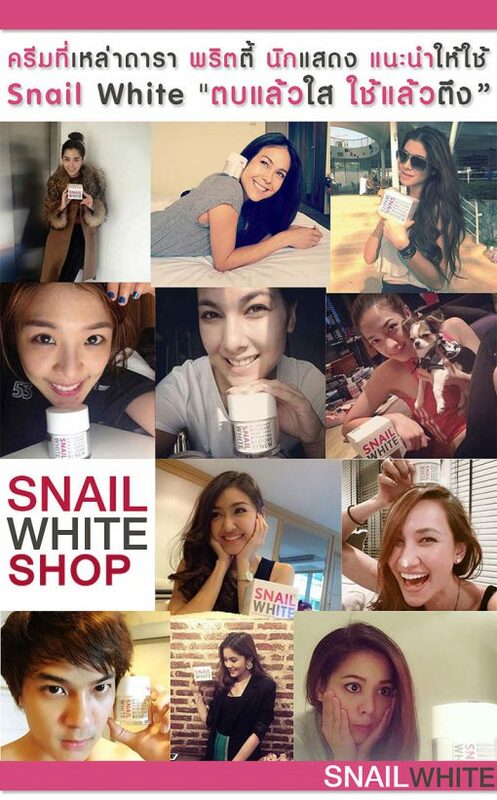 –SnailWhite cream is produced from snails that are farmed under humane and certified organic conditions. The snails are able to roam freely and the mucus secretion is collected from glass panes that they travel over. 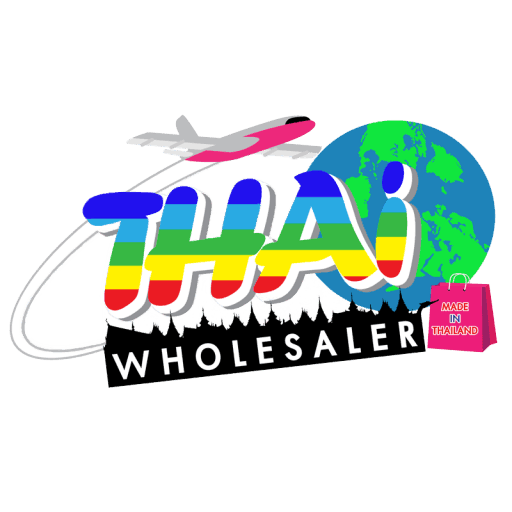 The secretion is collected, filtered and then concentrated by vacuum evaporation to reduce its water content before a mild preservative is added to maintain its shelf life. 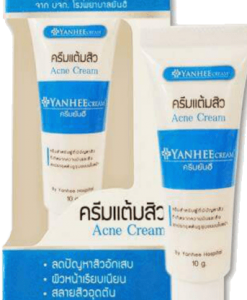 –It can be used by men or women of any age, not only on the face but on the hands too. It can also treat scars, sunburn, rashes and skin irritation anywhere on the body and even used on children’s skin. 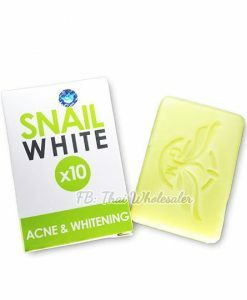 –It actively hydrates, fights wrinkles, and reduces acne scarring, sunburn and blemishes for balanced and beautiful skin. 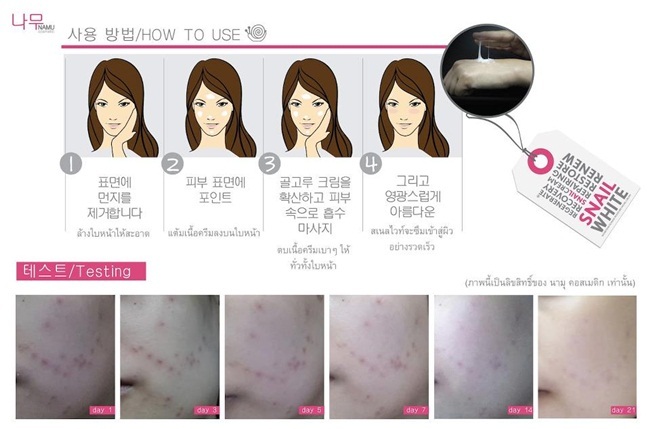 –Results can be seen within 2 – 3 weeks, although you will start to see and feel a difference within a few days of using it! 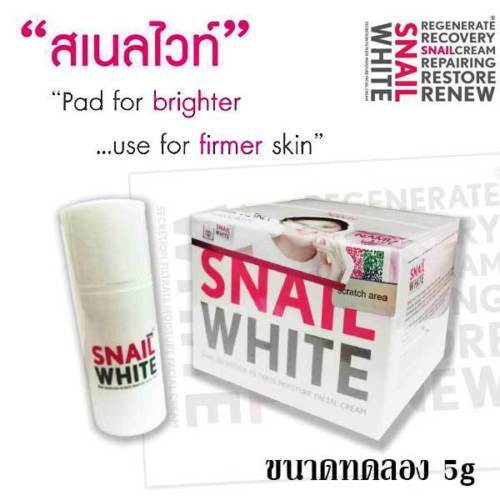 –A self repairing, 100% natural cream, SnailWhite is suitable for all skin types, even those with eczema or sensitive skin. 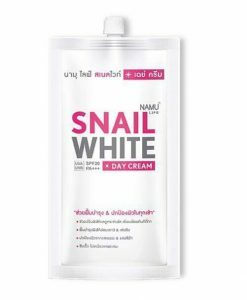 –Apply cream every day and night on whole face after facial washing..